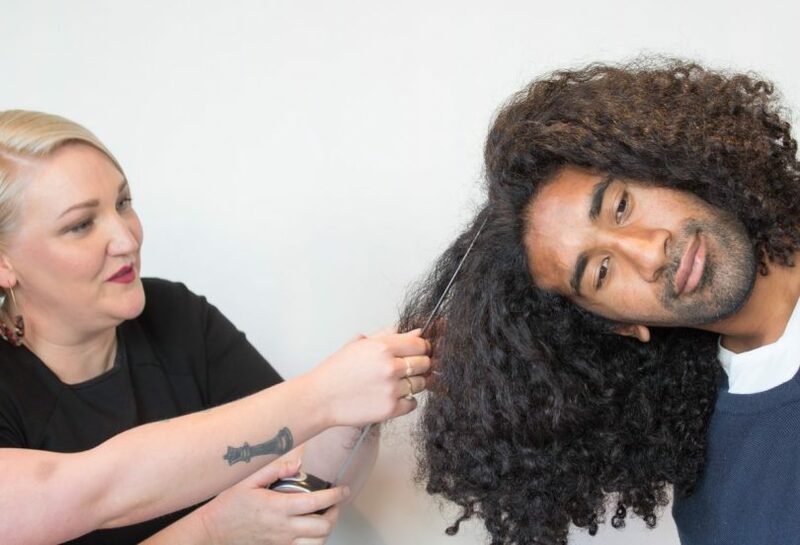 Sia Soliola is shaving off his iconic locks to raise money for a local charity. Photo: Supplied by Canberra Raiders. He is known for his hard-hitting tackles, his long luscious locks and his never-ending charity work, but come Friday morning, Raiders veteran Sia Soliola will be one short of that trifecta when he shaves his head to help local kids in need. This Thursday night (22 November), Soliola is shaving his head to raise funds to support disadvantaged and disabled children in the ACT via local charity Kulture Break and while he is quietly nervous about the shave, Soliola says he is committed to the cause. The CEO and Director of Kulture Break, Francis Owusu, said the organisation is honoured to be chosen by Sia as the charity for the shave and have set the fundraising benchmark of $52,000. Established in 2002, Mr Owusu said the aim of Kulture Break was to empower wellbeing and inclusion for young people in the local community and especially kids from disadvantaged or disability backgrounds. “We aim to provide early intervention measures against issues affecting today’s youth, including depression, anxiety, suicide, drug and alcohol abuse, social isolation and childhood obesity and to help kids express themselves,” Mr Owusu shared. Soliola’s son takes Kulture Break’s dance class and the big-hearted prop said he experienced first-hand the work the charity was doing within the local community and saw the benefits of getting kids involved in the positive and inclusive place. The Raiders big man does countless charity work within the Canberra community and recently drew resounding praise and admiration for his thoughtful actions towards single mum Tess. Mr Owusu said he was astounded by the generosity of the veteran and his willingness to go the extra mile to help any member of the community. The Sia Shave for Change party will be held at the Harvey Norman Commercial Canberra showroom in Mitchell, with all hair to be donated to Variety Australia and made into hairpieces for people affected by medical issues. To donate to the worthy cause, click here.